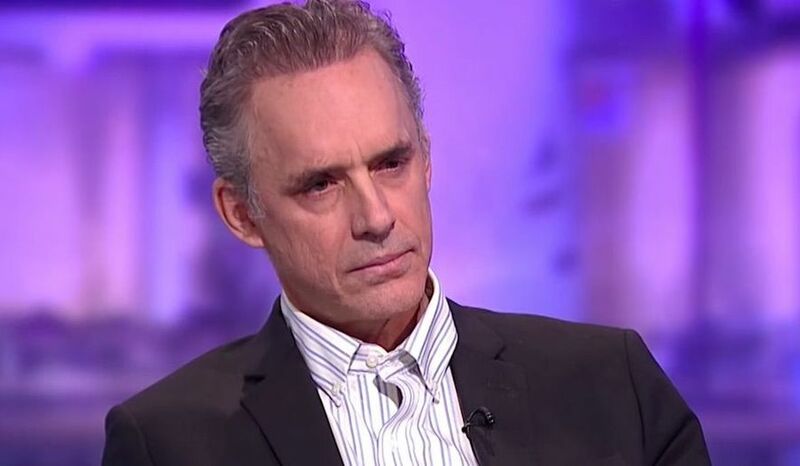 Peterson’s ideas and new book sound intriguing. I am adding the book to my reading list. Brooks, The Jordan Peterson Moment, N.Y. Times (Jan. 25, 2018); Noonan, Who’s Afraid of Jordan Peterson?, W.S.J. (Jan. 25, 2018). 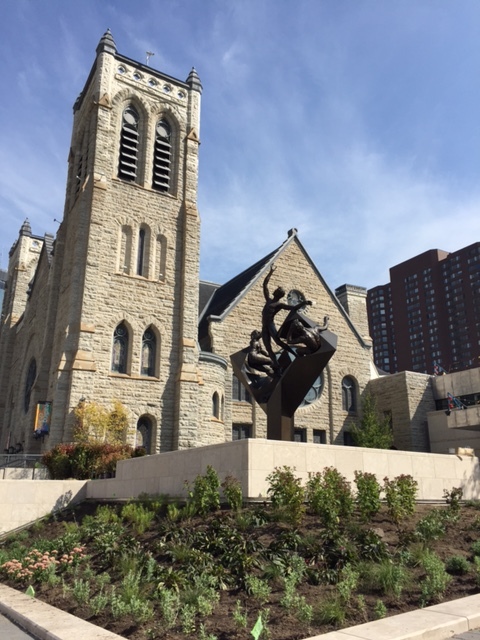 The September 17 sermon at Minneapolis Westminster Church, as discussed in a prior post, referred to the church’s sculpture by Paul Granlund that was inspired by the Wall Street Journal’s annual Christmas Day editorial discussing the conversion of Saul of Tarsus on the road to Damascus to become the Apostle Paul. That editorial was written in 1949 by Vermont Royster (1916-1996), who was the head of its editorial page, and thereafter has been published annually. Here is that message. Annual Christmas Editorial, W.S.J. (Dec. 24, 2008); Kassel, In Hoc Anno Domini, Bill Kassel’s Blog (Dec. 22, 2013). Whatever Became of “Faith Alone”? 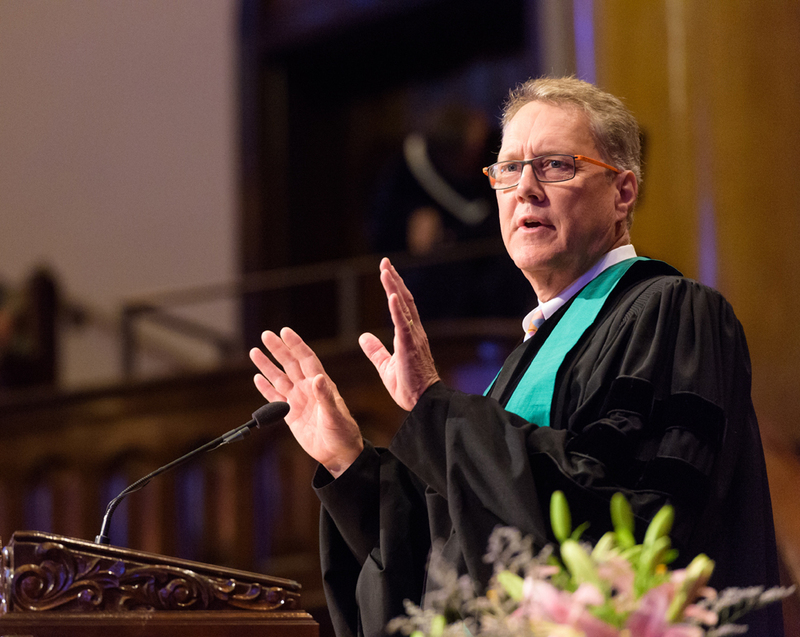 On September 17, 2017, in recognition of the 500th anniversary of the Protestant Reformation, Minneapolis’ Westminster Presbyterian Church’s Senior Pastor, Rev. 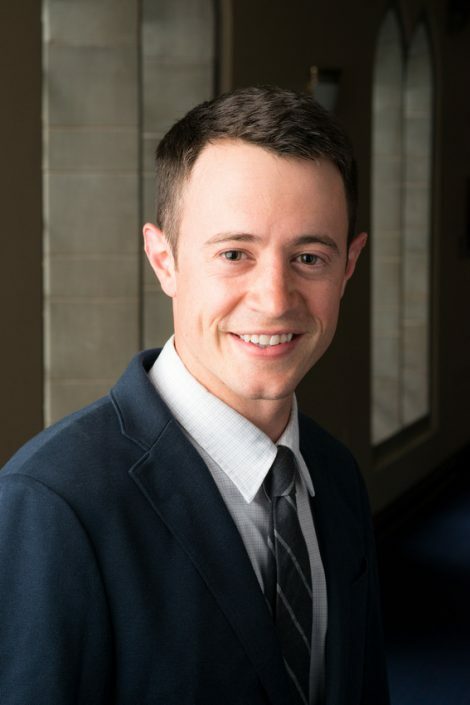 Timothy Hart-Andersen, delivered the second of his four sermons on the great themes of the Reformation: sola fide (faith alone); The first one was devoted to grace alone (sola gratia) and the last two will be on sola scriptura (scripture alone) and where do we go from here? 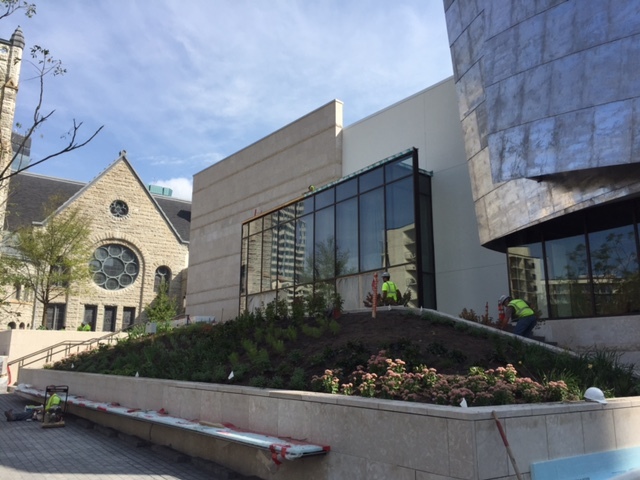 Below are photographs of the new addition to the church (under construction) and Rev. Hart-Andersen. 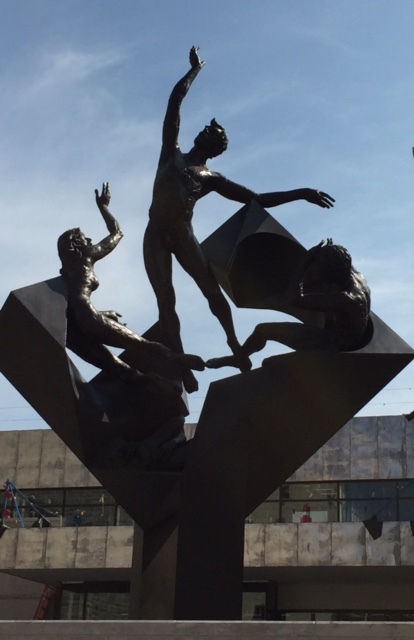 “Forty years ago, church member Tom Crosby commissioned Minnesota sculptor Paul Granlund  to create a work of art as a gift not only to Westminster but also to the city. Crosby was inspired by the annual Christmas Eve editorial in the Wall Street Journal that speaks of freedom, published every year since 1949. It concludes with this line from Galatians: ‘For freedom Christ has set us free; stand fast therefore and do not submit again to a yoke of slavery.’ (Galatians 5:1 (NRSV)) (Emphasis added.) Photographs of the sculpture are below; the first has the sculpture in front of the south wall of the existing sanctuary. “To have faith, and to be saved by it, means hearing the music of God’s love in our hearts. I join Pastor Tim in refusing to lock-down a formula for salvation. I believe all of us already have the light of God’s love of within us. It does not need to be given to us by some outside authority. Others and I are heirs to a theological and political insistence on individual freedom, with rights and responsibilities. We inherited a faith that not only tolerates but accepts and celebrates diversity, precisely because it affirms individuals in all their God-given, beautiful variety. The bulletin for this service and the text of this sermon are on the church’s website. A subsequent post will cover that day’s Prayer of Confession and Pastoral Prayer. There are many sources on Martin Luther; one is Wikipedia. Paul T. Granlund (1925—2003) was an American sculptor. His creative career spanned more than 50 years and more than 650 different works. Most of his work is figurative and made from bronze. His patrons included colleges, hospitals, churches and other institutions. 3] The Wall Street Journal’s annual Christmas Day editorial will be discussed in a subsequent post. 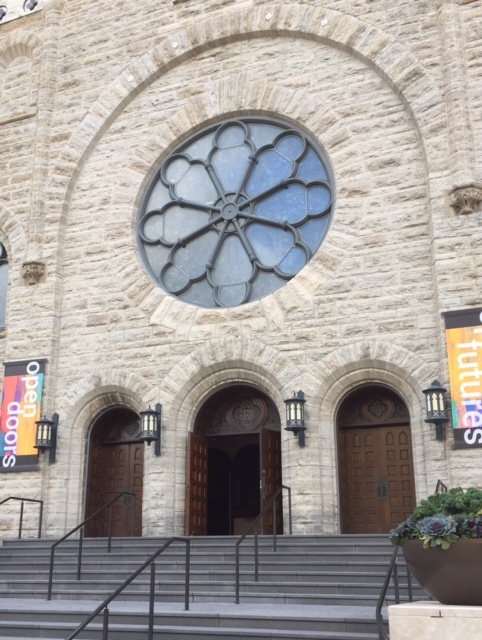 At this point the sermon referenced Westminster’s originally owning our city’s Abbott Northwestern Hospital, which included a Christian chapel that has been converted to an ecumenical Center for Reflection and Renewal as well as Westminster’s new addition which will host a children’s wellness center operated by St. David’s Center for Child & Family Development. Posted on October 7, 2017 October 7, 2017 Categories ReligionTags Abbott Northwestern Hospital, Austin Presbyterian Theological Seminary, Christianity, Deuteronomy 30:12-14 (NRSV), grace alone (sola gratia), Holy Bible, Jeremiah 32:31-35 (NRSV):, Jesus, Luke 18: 35-43 (NRSV):, Martin Luther, Paul Granlund, Protestant Reformation, Rev. Dr. Cindy Rigby, Rev. Timothy Hart-Andersen, sola fide (faith alone), sola scriptura (scripture alone), St. David’s Center for Child & Family Development., Tom Crosby, Wall Street Journal, Westminster Presbyterian Church3 Comments on Whatever Became of “Faith Alone”? David Brooks in two recent New York Times’ columns discusses humility and equipoise (the ability to hold various opinions or identities in equilibrium) as two fundamental civic virtues. Here are his arguments for these conclusions. In support of this conclusion Brooks says he has been inspired by “the great book Faces of Moderation” (Univ. Pa. Press. 2016) by Aurelian Craiutu, Professor of Political Science, Indiana University. Especially important for me is the recognition that all human beings have multiple identities that should be honored and that all of us need to keep reminding ourselves of this fundamental truth. Everyone is a child of a mother and father, usually grows up in a specific place with a specific nationality and perhaps is a brother or sister to other siblings and a cousin to others. With adulthood everyone may choose to become a spouse or partner of another human being and perhaps a parent of a child or children. Everyone may choose be an adherent of a particular religion or of no religion. Everyone may choose to change some of these identities and to adopt other identities such as attendance at a specific college or university in a specific class and participation in a specific occupation or profession. But that is the wrong conclusion, especially in a representative system of government. Instead, one should be so involved. This is where the virtue of moderation comes in. Brooks, What Moderates Believe, N.Y. Times (Aug. 22, 2017); Brooks, In Praise of Equipoise, N.Y. Times (Sept. 1, 2017). Earlier blog posts discussed a book by Brooks and his presentation at Minneapolis’ Westminster Town Hall Forum: The Important Moral Virtues in David Brooks’ “The Road to Character” (May 1, 2015); David Brooks’ Moral Exemplar (May 2, 2015); David Brooks Speaks on :The Role of Character in Creating an Excellent Life (May 16, 2015). “All: God of grace, we gather in worship to come home to you. Like sheep without a shepherd, you bring us back to the fold; you search for us until we are found. One: O God, do you ever tire of looking for us? All: God of compassion, your rest comes when all your people are as one, when justice and peace reign among us. One: O God, we confess we grow weary of a world in need; will you still call on us to serve? All: God of mercy, you do not fatigue; you are not exhausted by the needs of the world. Remind us that you have called each one of us to work alongside you. We are not alone. One: O God, will you help us to trust in you? All: God of forgiveness, we pray that you would search for us, find us, call on us, and help us to trust in your unending love. One: O God, who will show us the way? The sermon put me and other members of the church in the shoes of the tired and hungry disciples, anxious to rest and eat, and not eager to engage in further ministry. The sermon also made us realize that the disciples continued to learn about Jesus and his message throughout their time together. I also was reminded that no one individual can do all that needs to be done in the world, that what each individual does to meet the needs of the world does not have to be perfect or complete, but that each individual needs to do something to help others. 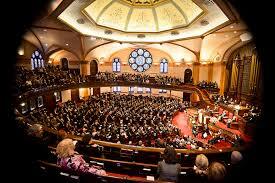 The Bulletin for the service and the text of the sermon are available on the church’s website. Other blog posts about Westminster with links established by computer in reverse chronological order of posting is on the website along with a more logical listing of same (without links). Rev. Buchanan is the retired pastor of Fourth Presbyterian Church on Michigan Avenue in Chicago, the second largest congregation in the Presbyterian Church (U.S.A.) (my denomination), a former leader (Moderator) of that denomination and the editor and publisher of The Christian Century. Information about him is found in Facebook and Wikipedia. Douglas John Hall is emeritus professor of theology at McGill University in Montreal, Canada and the author of many acclaimed and popular works about Christianity.